So, any looking for a yellow cardi? I enjoyed wearing my yellow blazer yesterday...but my yellow cardi is for cooler weather. 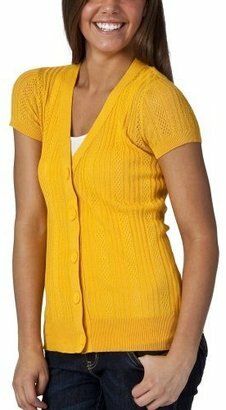 I was looking for a summery yellow cardi, and thought I would share a couple! I have that ON pointelle in coral and bright green, and it is a REALLY great sweater. I think that yellow one is calling my name now!